Viaccess-Orca (VO) is set to acquire the SecurePlayer business from Discretix Technologies. The deal is expected to close in early Q2, 2014. SecurePlayer is a multiplatform media player, available for Android and iOS tablets and smartphones, that incorporates digital rights management (DRM) for premium VOD and live content. 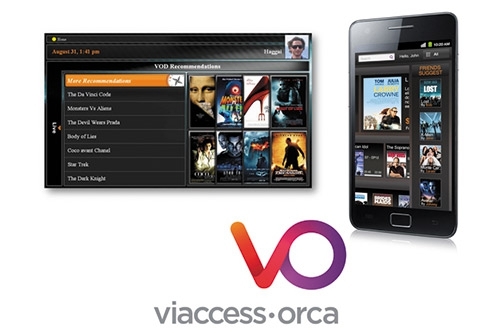 Viaccess-Orca will offer SecurePlayer as a standalone product and as part of the company’s Connected Sentinel, VO’s range of content protection solutions for IP-enabled content services. Connected Sentinel is also a main component in VO’s end-to-end solution for multiscreen services. Using VO’s Connected Sentinel, service providers can distribute content securely to set-top boxes (STBs), tablets, smartphones, and PCs. Connected Sentinel provides best-in-class security for any device and increases content service providers’ revenue streams by enabling them to support a variety of business models including live TV, subscriptions, on-demand streaming and download, rental, electronic sell-through (EST), and more.